Having grown up under the controlling grip of her fame-hungry mother, Janet Slate jumps at the opportunity to move into what looks to be a great high-rise apartment in downtown Detroit. Yet some deals are too good to be true as one night her boyfriend Mark finds her in the middle of the street - having fallen from the balcony thirteen stories above. When her sister Lara tries to investigate the mystery of what happened, she moves into the same apartment and encounters the odd neighbors in the building, including an eerie nine-year old girl who seems to somehow know the real reason for Janet's fall. Lara soon realizes that her sister's death might spell the same fate for her unless she can overcome the strange events that are terrorizing the inhabitants in Apartment 1303. 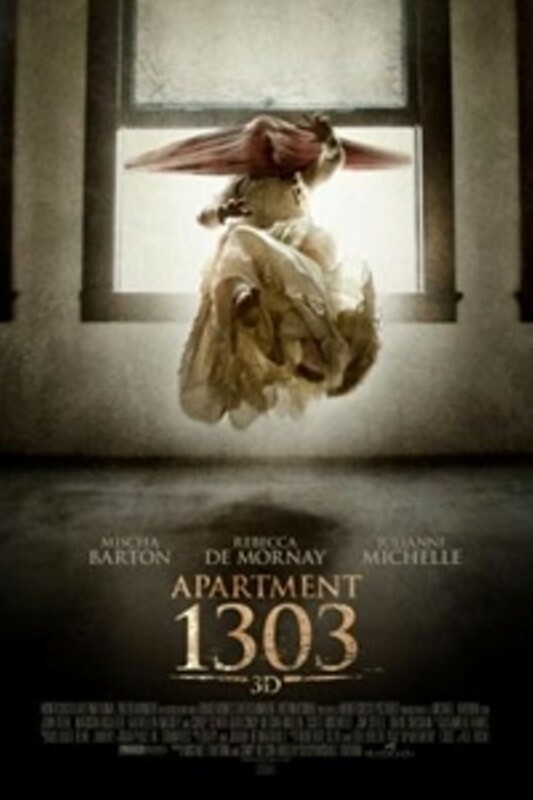 Apartment 1303 is not showing in any theaters in the area.